When it comes to blogging, I’ve always told myself that I need to maintain an even mix of reviews and other less-commercial content. 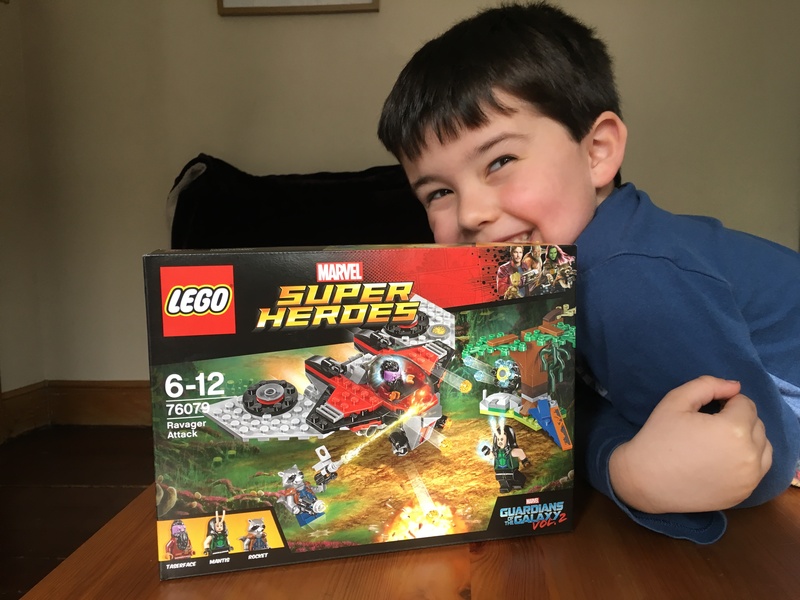 Partly because I didn’t start blogging to review products – I started because I wanted to share some of the joys (and challenges) of parenting with my fellow parents. But also in a large part because I didn’t get many opportunities to review stuff – so it wasn’t really an issue. With the realisation that reviewing stuff is actually quite good fun, though, I’ve decided to loosen my reins a little and take a few more opportunities. And when it comes to what must be my favourite brand in the world – LEGO – I’m definitely not going to turn down the opportunity to get building. 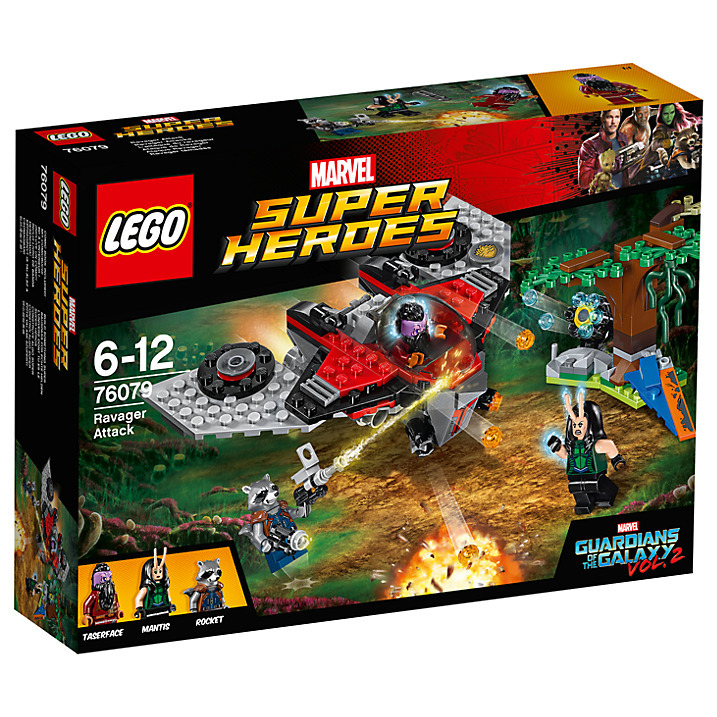 So when I was asked if I wanted to review some of the new sets from the “Guardians of the Galaxy Vol 2” range, I naturally jumped at the chance. 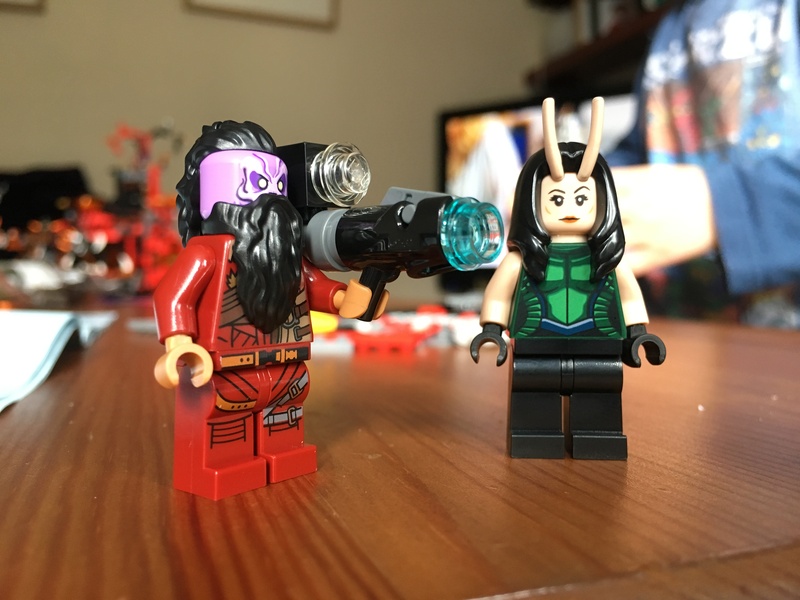 I also decided that I needed to add a little more structure to my Lego reviews – so as well as some photos and opinions, I’m going to add a few extra useful details in the pull-out box. 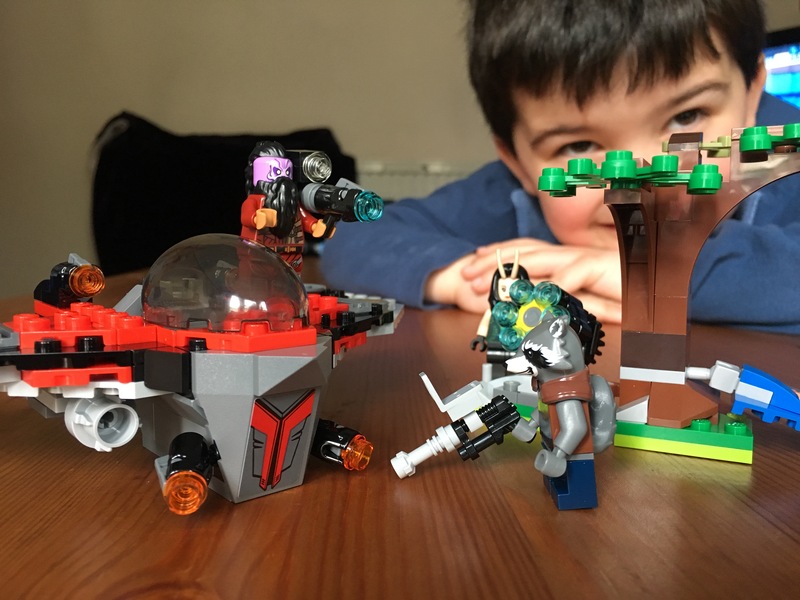 Anyway, without any further delays, here’s the first review of the set, for set 76079 – “Ravager Attack”. Of the three sets that have so far been released for this range, this is the smallest and simplest – so we tasked Freddie (5, going on 6) to put it together. The smallest and subsequently least experienced Lego builder in our family, Freddie was able to do pretty much all of the model himself – showing once again that the Lego “recommended age” number has some flex to it. 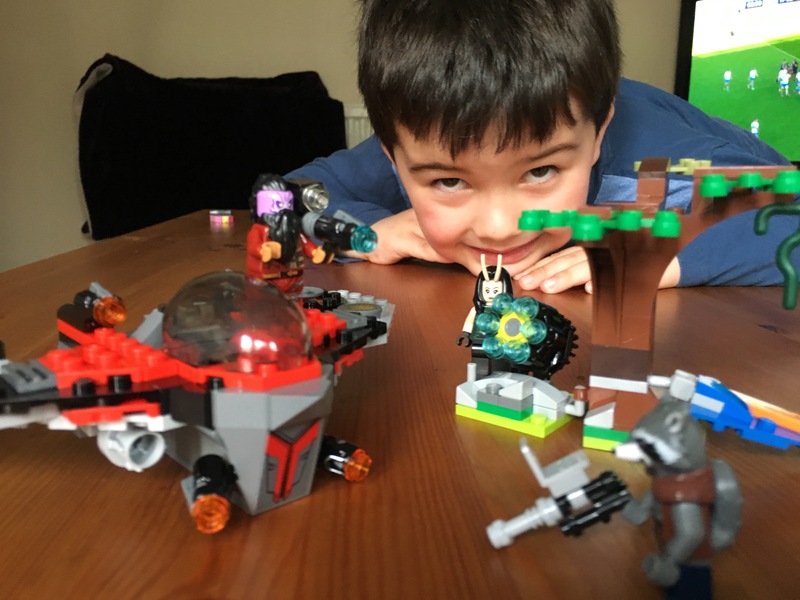 It took him about half an hour to construct, and unlike most larger models he did it all in one sitting – nary a distraction or snack-break was required. He also did a pretty good job of it – I only had to intervene once, when I noticed that he’d missed out a crucial element from the build, and was subsequently finding the next instruction a mystery. 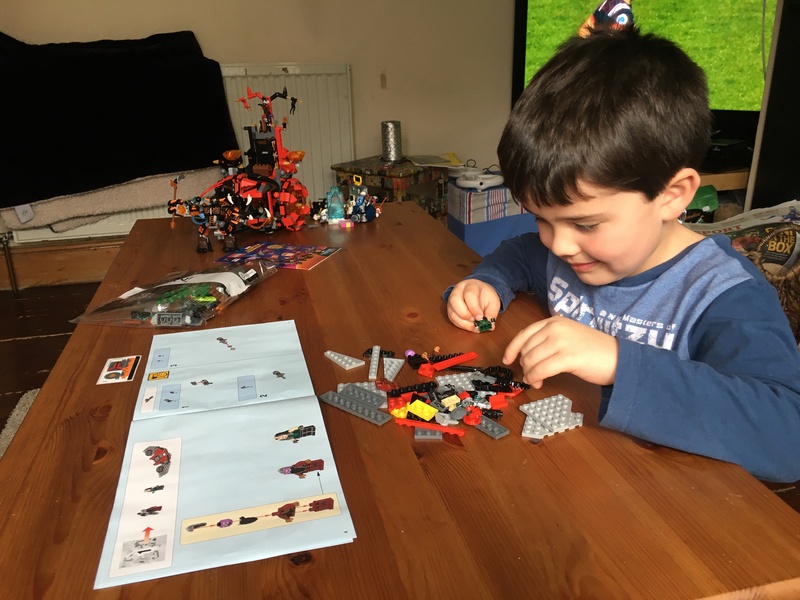 There are very few “fiddly bits” to tackle, and only a few stickers to stick on – so it’s an ideal set for an early-years master builder, really.